Nigeria’s defence of the Women’s Africa Cup of Nations title will begin with matches against Ghana, Mali and Kenya in Group B of the 2016 tournament. Hosts Cameroon are in Group A and will face Egypt in the opening match of the finals on November 19 in Yaoundé. South Africa and Zimbabwe, who both played at the Rio Olympics, complete the teams in the group, BBC reports. The final is set for December 3 with Limbe as the other host city. 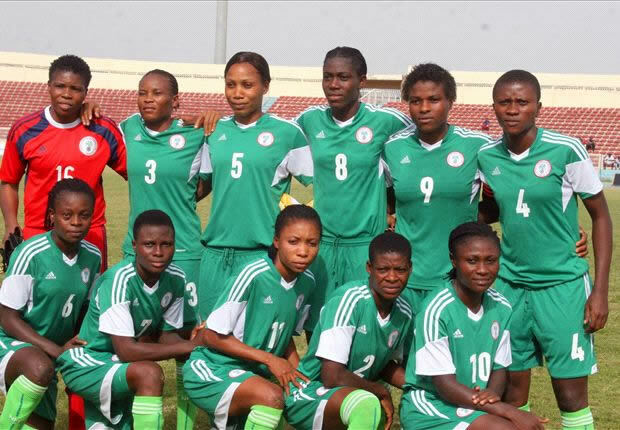 Nigeria have dominated women’s football in Africa having been crowned champion a total of nine times, Equatorial Guinea are the only other nation to have won the continental title. Kenya are making their first ever appearance at the women’s finals and have reached the final of the East and Central African regional event in Uganda. They will play Tanzania in the final of the CECAFA Women’s Championship on Tuesday. Ghana have never won the women’s continental title but have been the losing finalists on three occasions – 1998, 2002 and 2006. The other team in the group, Mali, earned their place in the finals when former winners Equatorial Guinea were disqualified for fielding an ineligible player. Cameroon are looking to go one step better than two years ago at the finals in Namibia where they were runners-up to Nigeria. Since then the Indomitable Lionesses have gained in experience with a first ever appearance at the World Cup as they reached the last 16 in Canada last year. South Africa and Zimbabwe will be hoping to improve on their showing at the Rio Olympics where they managed just a single point between them, from Banyana Banyana’s goalless draw with Brazil. Egypt’s only other appearance at the finals was in 1998 when they lost all three of their group matches and conceded 14 goals.